Delaney Studios is an art school specialising in students aged 5 right up to HSC students. We teach a range of mediums including water colour, acrylic, oils, charcoal, pencil work and much more! 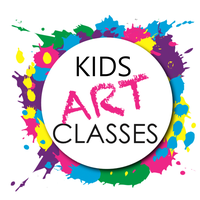 Classes run during the school term for 1 hour after school, we also run school holiday classes as well as private classes and art parties in our studio or in your home. Art classes help children artistically express themselves in a creative encouraging environment. There is nothing better than seeing a child gain confidence and be proud of themselves and their work.